We all know the feeling of trying to make our way in the world, with all the trials and tribulations that life throws up. Matthew's journey is one that is common to so many people and specifically millennials, in 2018. Life can be tricky at times. However, Matthew's journey is one of working hard, seeking opportunities, getting knock backs and experiencing the realities of a lack of connection and getting back up and trying again. Spaces of Hope started life as a nameless and shapeless exploration of the thoughts and feelings, beliefs and values of one person on a journey to connect with the world around him. It is now underpinned by work at Goldsmiths University of London, a Fellowship with the Royal Society of Arts and a plethora of public events, processes, principles and practice. It all started with a seed though. You can read some snapshots of this journey in the Spaces of Hope eBook, or for a more relaxed approach, why not join us on the podcast to hear more. It is so often the case that all we need is a space to be, a space to feel safe, a space with an opportunity to express what's important to us and to do so in a way that is relationship with others. In Stockport in 2016, Matthew was given that opportunity and began, with the blessing of his employers, to explore Spaces of Hope in a community setting. This began a new phase of something Matthew had been trying, testing and researching personally and professionally for a number of years. There is a highly iterative nature to Spaces of Hope, which gives both 'it' and people who are using it, space to think and learn whilst doing. There is a virtuous circle created between the environment that is created and the shoots that grow, allowing Spaces of Hope to be as responsive as possible to the needs of those using it, whilst also offering substantial rigour, underpinning the relational and resilient way that they grow. We are often challenged about the amount of time that is spent thinking, talking and not 'doing'. Matthew's response is simple. Look around at the society that we are living in and show me how talking more; sharing what is at the root of who we are, in a way that improves our health and provides us hope, whilst we are doing what we do on a daily basis, is a bad thing. We say, if it is in the root, it is in the fruit. Well, we have gathered the views of people who have experienced Spaces of Hope, to explain what that fruit is like! This is a Map of the events that have taken place since the first Spaces of Hope public event in September 2016. This map provides details of the location of the events and the nature of the content and expression of each of the events. 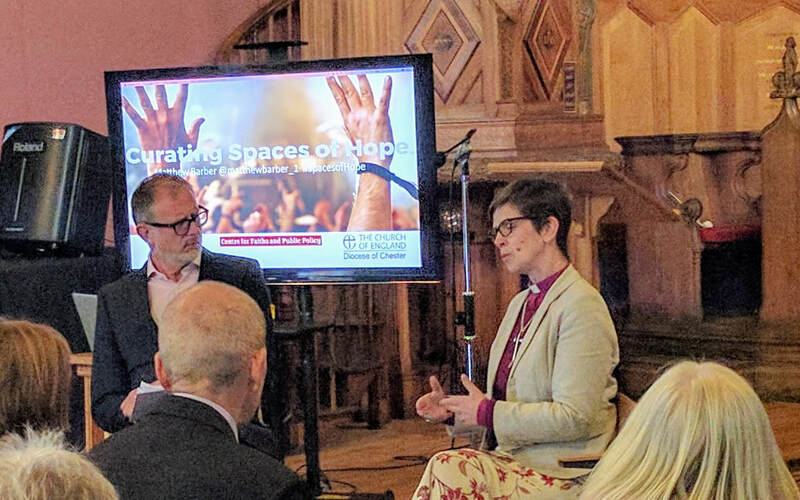 We have been excited to see the ideas of Spaces of Hope planted across the North West in 2016 and 2017, with links into Leeds and Birmingham by the end of 2018. The combination of personal stories, beliefs and values informing how we work and how we relate to and connect with others is a powerful one. 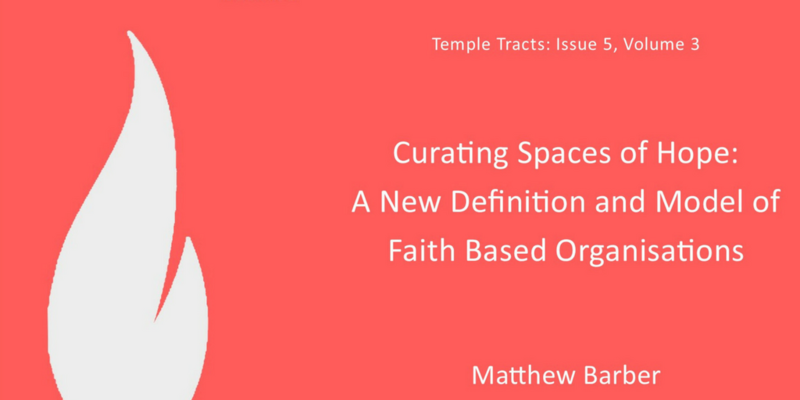 Understand more about how this might relate to your context by linking to our Hubs work, our Curators Club, and our Connectors Cafe.